Friday we celebrated a friend's birthday at Cajun Queen- I forget how much I love that place. If you are in Charlotte and love Cajun, you must try it! 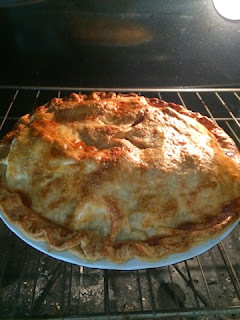 Saturday I baked my very first apple pie!! My friend Elizabeth had me over early Saturday so she could show me how to do it. Then I took it my brother in law's for his birthday lunch! It was pretty good for my first attempt. There were no leftovers so everyone must have loved it too! I'm glad I did a trial run before I make it for Thanksgiving. Sunday was spent working and running errands. So much to make for holiday orders, I'll be working as much as possible until Christmas! 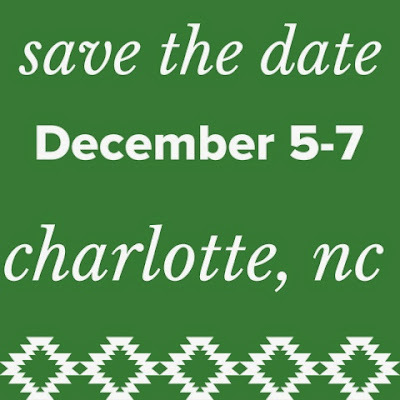 Speaking of that- save the date for a holiday show December 5-7, more details to come. Sunday night my dad took Dave & I to Dogwood, a new restaurant in Charlotte right near his place. I got the sirloin and loved it- the steak sauce was incredible! 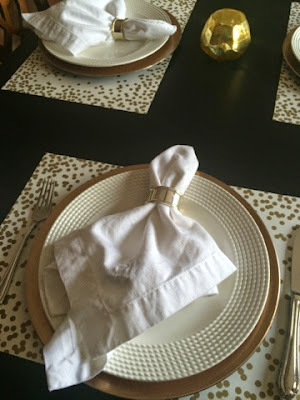 I can't believe I'm hosting 19 people at my house for Thanksgiving! We started prepping this weekend. I still need to work on my tables for Thursday. And start preparing for the food I'm making (appetizers, green bean casserole & apple pie). Its going to be a busy 3 days! But the MOST EXCITING part of this week is that my cousin Jennie returns from 11 month long mission trip!!!! I am so excited I can hardly stand it!!! She gets in late Wednesday night, just in time for Thanksgiving with all of us! 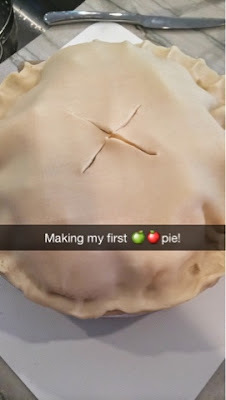 I'm so impressed by your pie crust edges! I always struggle with that part. 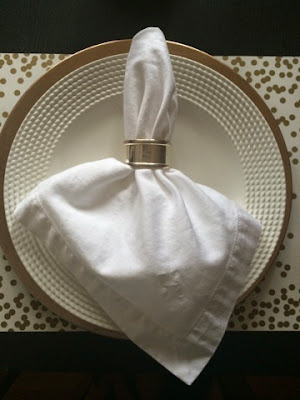 Live your table setting! Have a great thanksgiving!